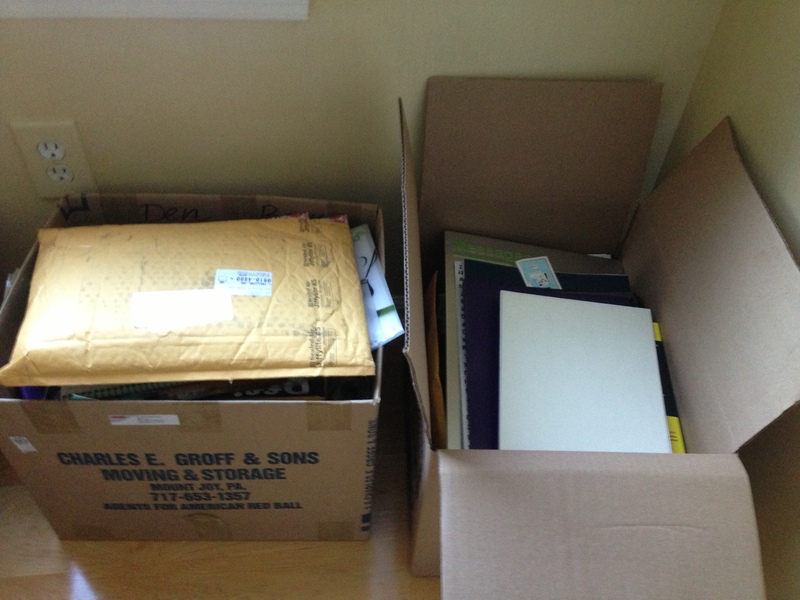 Clump #49: Unload two boxes of sentimental stuff. 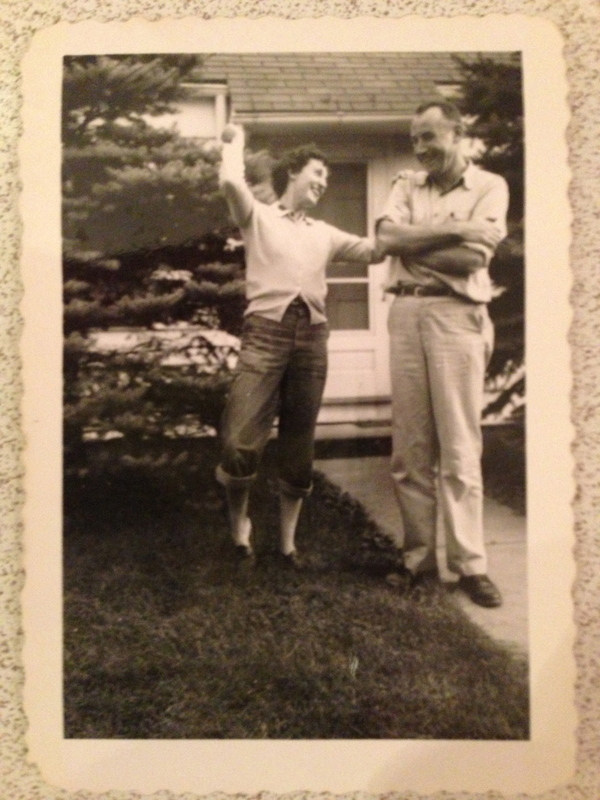 Day 18 of my 30-day, 30-clump, 30-post challenge … where I am currently clearing out a room used to stash my parents’ belongings a year after my father’s death, in honor of his birthday this week. One box was almost completely filled with framed photos. Below are hand-made paperweights two of my sisters and I made in grade school. We will have to have a big picture-redistribution. 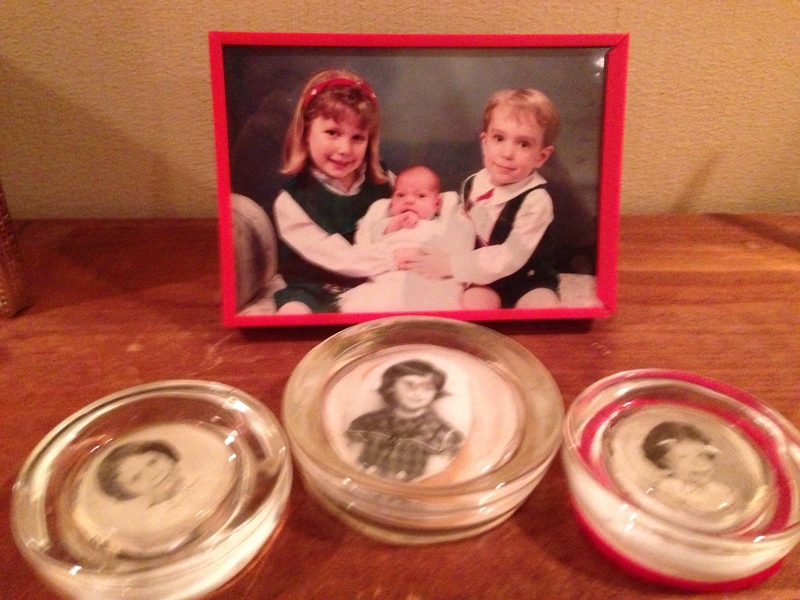 The red framed photo is from the first Christmas card my husband and I sent with three kids in it. That winter was the most severe weather I can remember. Getting the photo taken and putting the card together seemed akin to scaling Mount Everest. I believe the adorable outfits were from a very exclusive line found at a yard sale. Okay. 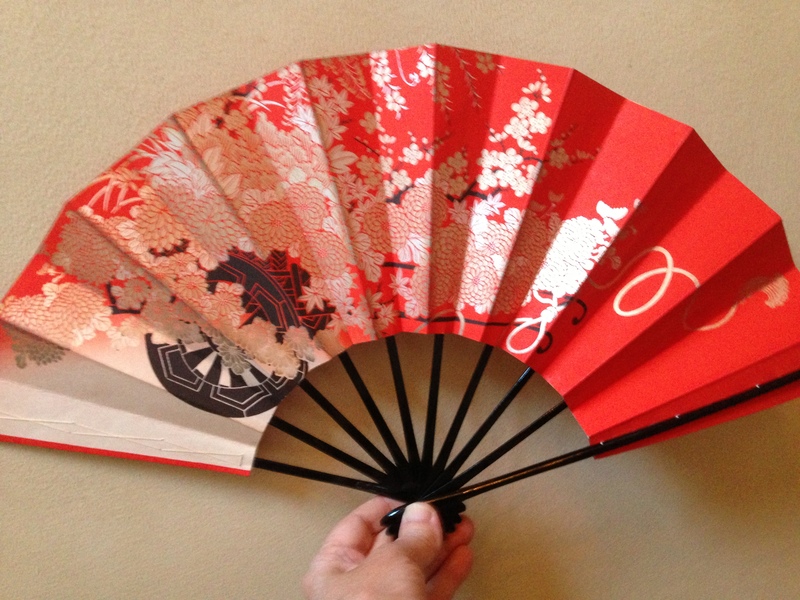 Here are the most difficult items. My mother’s purse and jewelry box. I need a sister consultation about these. And then the candle. Here’s a piece of advice for anyone in the sad position of doing business with a funeral home. Do NOT take a candle with a picture of your dear deceased loved one with their birth and death dates, the words “Celebration of a Life,” and in this case, a background picture of a golf course. 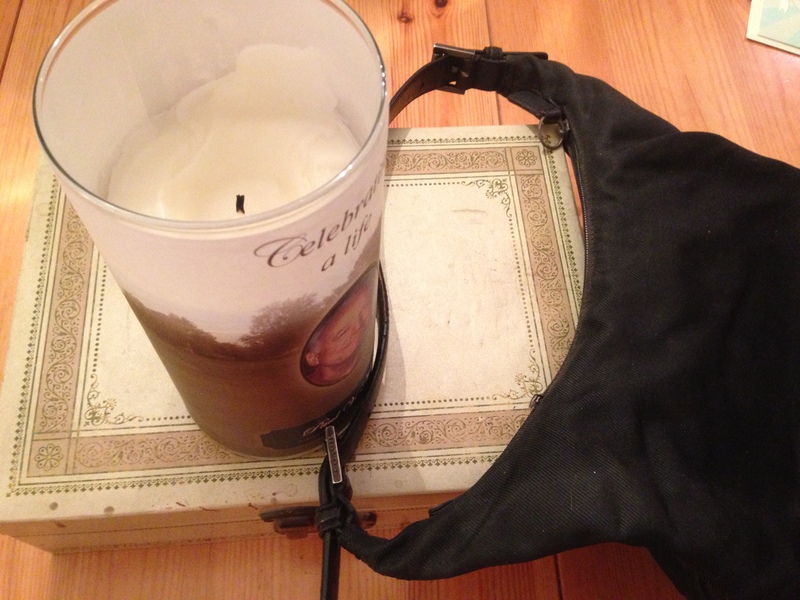 We lit the candle during the two memorial services we had for my dad … but now what? I really don’t want to use it again, but throwing it away seems like a sacrilege. 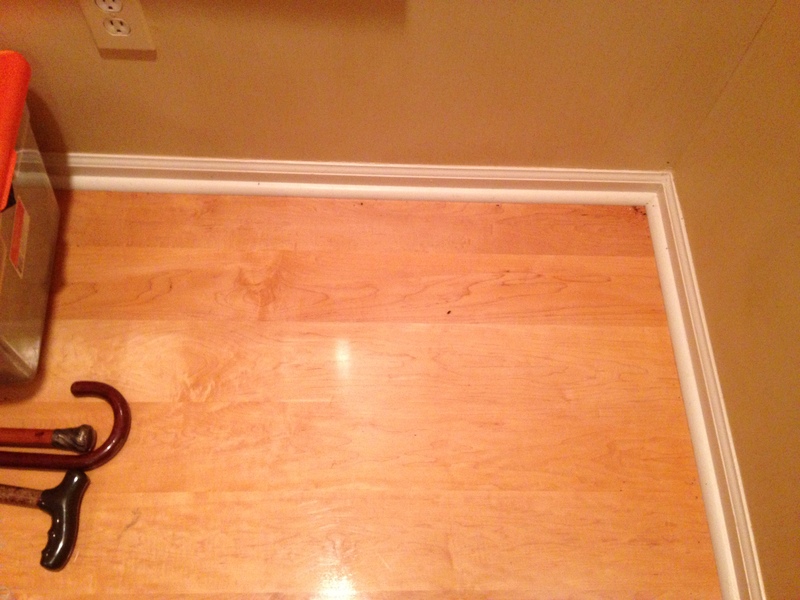 On a lighter note, here is the empty corner. Free from the weight of heavy memories and expectations. Those canes lurking nearby are next.